Making money online is easier than ever. Now more people than ever has access to the internet. You can conduct most of your business from your smartphone. There are several ways that you can make money online. One of them is buying and selling. You can buy items at garage or yard sales and list them on eBay. Below I will list several different ways to make money online and start earning at least $100 a day. eBay and Craigslist - Buying items from Yard sales and reselling them on places like craigslist or eBay can be very profitable. You can find items you might want at estate sales and storage auctions. eBay is quick and easy to set up and use. All you need is a PayPal account to start getting paid. Fivver and Upwork - If you don't know about Fivver and Upwork you have been missing out. Not only are these great places to offer your services but also a great place to outsource some of your work. Fivver use to also be cheap. It's kind of hard to find the great deals that were once there if you are on the purchasing side but it makes even better since you are trying to get to make at least $100 a day. Upwork offers the same type of service but was once seen as a more professional setting. Start an Online Blog - You can start a blog about something that you actually can talk about for days. If you love talking about dogs or your cat. Then make a blog talking about your blog or your cat. To earn money you want to break your niche all the way down. If your dog is a pug then don't just make a blog about dogs, make a blog about pugs. Break it down as far as you can to get the niche. Then you can not only get affiliate money from links to products and websites, but you can also get AdSense money from ads. You can also rent out spaces on your blog. YouTube - Now youtube is one of the largest search engines in the world. You don't even need college courses anymore. People are running to youtube to find out how to do almost anything you can think of. Now Youtube is a place where you can build your subscribers up and turn them into potential leads to sell merchandise or other products. You can also make money from AdSense also. Just like blogging you can get paid for page views and clicks. Youtube has made some people very rich. Some YouTubers have made 6 figures annually. There are some that I know personally makes over $100,000 a year not include all the free things that you receive from companies wanting you to advertise their products. It can be as simple as a hotel giving you a free trip to Vegas to talk about your stay at their resort. Online Surveys - There are online surveys that you can complete and get paid. I usually do them for extra Flyer miles and to keep my account active if I have not been flying lately. Some of these surveys you can make at least a $100 a day to complete. Beware some of these surveys may be 45 minutes to 1 1/2 hours long. Uber or Lyft - Now, Almost everyone has caught an uber by now. I still have not used lyft yet but Uber has been pretty awesome. I like how fast it is and the convenience. I usually use uber if I am needing to go to the airport. It cheaper than a taxi and usually quicker too. So anyway, I am not here to advertise for them lol. You can make some extra money just by signing up for Uber. Of course, you are going to need a 4 door car or truck and your vehicle must be at least a certain yr. If you have an 85 box caprice then this is not going to work for you. You can turn on your app when you are driving back from somewhere and earn some extra money. It's too easy. Sell merchandise online - There are plenty of websites like Us that will print your custom t shirts and dropship to your customers. You can also make custom pillows totes, etc with your artwork. This is more for those that are an artist. I recently sold a picture of a statue that I took back in 2014. I had it on a website that prints these photos onto canvas, posters etc. This person bought this picture and put it on a large 40x60 canvas and I can remember what else. I made $125.00 from this. The company sold that canvas to them For around $500-600. I was shocked to see that I got paid for a photo that I did not even take it seriously on think I would be able to sell. Create an eCommerce website - Now this is similar to selling your merchandise online but not quite. You can sell pretty much whatever you would like on your online store but I recommend it be niche related. You can sell antiques on your online store using the items that you find at the yardsales. Then you can also sell merchandise such as t-shirts and hats for people that love your website. There are too many different things that you can do with an eCommerce store. You just need to plan and use your imagination. It may be harder, in the beginning, to get customers to find your website so you will want to use things like social media and Youtube to bring in new customers. Well, there you have. 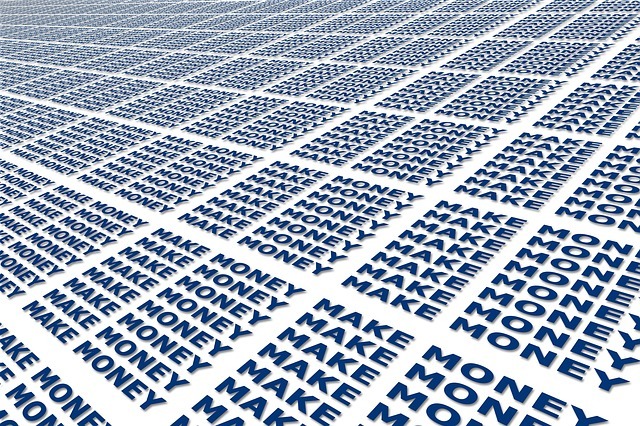 I have listed proven ways that you can start earning money online. Some We can go deeper into details on exactly how you need to make these ideas work. There is a company that recently hit over a million dollars in sales. This guy started going to places like Wal-Mart and buying items from the clearance section where things are around 80 - 90% off and reselling them on places like eBay and Amazon. Now, how smart is that? We all see the discount piles at a lot of different stores. Some stuff may be on sale because the season is changing and the store needs to make more room for new items. You can Save them for next season to make the most profit. Let us know if you know of any other ways to make money online. Our goal is to at least make $100 a day. After that $1000 a day. Let's get to it.